Bail Hearing in Camden, New Jersey? If you are arrested in Camden County, NJ, you might be glad to learn that New Jersey has done away with the traditional bail system and replaced it with a more formulaic approach that assesses a person’s risk level for failing to appear in court, endangering public safety, or obstructing justice. Whether you will be held in detention until your trial depends on if the Camden County Prosecutor’s Office files a motion for detention in your case and the outcome of your detention hearing. It is very important to be represented by an experienced criminal defense lawyer who can argue for your release effectively at your detention hearing in Camden County. If you or a loved one are scheduled to appear for a detention hearing in Camden County, contact our Camden County criminal defense lawyers for additional information and answers that apply to your specific case. You can call 609-832-3202 or contact us online anytime for a free consultation. If you are arrested on a Friday night, you may appear before a judge through video conference on Saturday morning. This is called your first appearance. Before your first appearance, if the prosecutor plans to argue for your detention pending trial, they must file a motion for detention. Alternatively, they may recommend your release with or without conditions. If you are appearing before the judge on a Saturday morning and the prosecution files a motion for your detention, the judge will inform you that you will have a detention hearing during the week, within a few days of your first appearance. If you are arrested on a Sunday night or during the week, you will most likely appear before a judge for your first appearance the following day and, if the prosecutor files a motion for detention in your case, you will most likely have a detention hearing the same day. It is possible for the prosecution to file a motion for detention after your first appearance. If this happens, your detention hearing must take place within 3 days after the motion is filed. Your detention hearing will take place by video conference from the Camden County Detention Center. You will be taken to a room with a TV screen and video conference equipment and appear before a municipal court judge or a Camden County Superior Court judge. At a detention hearing in Camden County, NJ, the prosecutor will argue that no condition or set of conditions could reasonably assure that you will not fail to appear at your court date, be a danger to public safety, or obstruct the criminal justice process. For any crime other than murder or a crime that is punishable by a life sentence, there is a presumption against detention, so the prosecution has the burden to convince the court you should remain detained while you wait for your trial. However, if you are charged with murder or another crime that carries the potential of a life sentence, there is a presumption in favor of detention and it is your burden to convince the judge that you should not be detained. Some of the charges that frequently result in a prosecutor filing a motion for detention include violent crimes such as aggravated assault, domestic violence assault, terroristic threats, carjacking, robbery, aggravated sexual assault, and armed burglary. It is then up to your attorney to undermine the prosecutor’s case that you should be held pending trial. 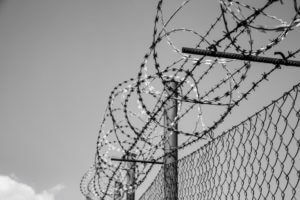 What Factors are Considered at a Detention Hearing? The judge will consider your individual risk assessment when deciding whether you should be detained while waiting for your trial. Each defendant is given a Public Safety Assessment (PSA) score to determine their risk level for failure to appear, new criminal activity, and new violent criminal activity. The judge will also consider the recommendation made by the Decision Making Framework (DMF). Specific factors that influence your PSA score and DMF recommendation include any other pending charges against you at the time of your arrest; prior convictions for violent crimes, indictable offenses, and disorderly persons offenses; whether your current charge is for a violent offense; your age at the time of your current arrest; prior sentences of 14 days or longer; and prior failure to appear at a pre-disposition court date. Ultimately, if the judge decides that no condition or set of conditions will reasonably assure that you will not fail to appear in court, endanger public safety, or obstruct justice in some way, you will be detained until your trial. If you or someone you love is scheduled for an upcoming Detention Hearing in Camden County, it is crucial that you contact an experienced criminal defense attorney without further delay. To speak with an experienced Camden County criminal defense attorney at our criminal defense law firm about how you can position yourself for the best outcome, contact our office at 609-832-3202. Our law firm provides skilled defense representation throughout Camden County.